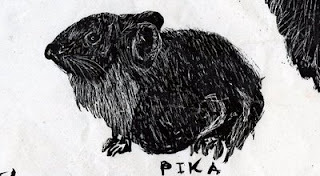 This is my field sketch of a pika, a creature familiar to alpine backpackers. If you’ve walked above tree line, you’ve probably heard their strange “ook-ook” vocalizations. Pikas have different squeaks for different occasions (distress squeaks, angry squeaks, etc.) They even have their own Facebook-like system for letting other pikas know if they are dating, interested or available. 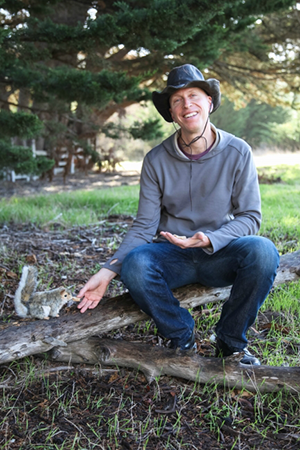 According to Allan Schoenherr’s book, “A Natural History of California,” pikas will make certain vocalizations to lure other pikas into mating with them — but they will also make “wailing calls” to signal the end of a courtship.